I’ve been lost in a Google labyrinth of pictures for the last 24 hours and both Le Galion and The Perfume Society are to blame. You see, there is a veritable bounty of vintage advertisements from the house of Le Galion all over the Google and each one is absolutely stunning. Now, the reason I’ve entered into this merry little hole of vintage advertisements is because of a fascinating evening I spent this week in the Heritage Suite at Liberty, London’s most fabulous department store, with Nicolas Chabot, the new owner of the historic Le Galion brand and Jo Fairley, the founder of The Perfume Society, who organised the event. Le Galion is the story of a historic house with royal ties, a legendary perfumer, a symbol of Paris and a fragrance favoured by Hollywood’s brightest stars. What’s amazing about this history is that it has been almost all but forgotten – lost within the annals of modern perfumery. But the brand’s new owner Nicolas Chabot hasn’t forgotten and he has brought Le Galion back from the dead, relaunching a number of its classic fragrances and adding some new ones, all in the historic style of the house. 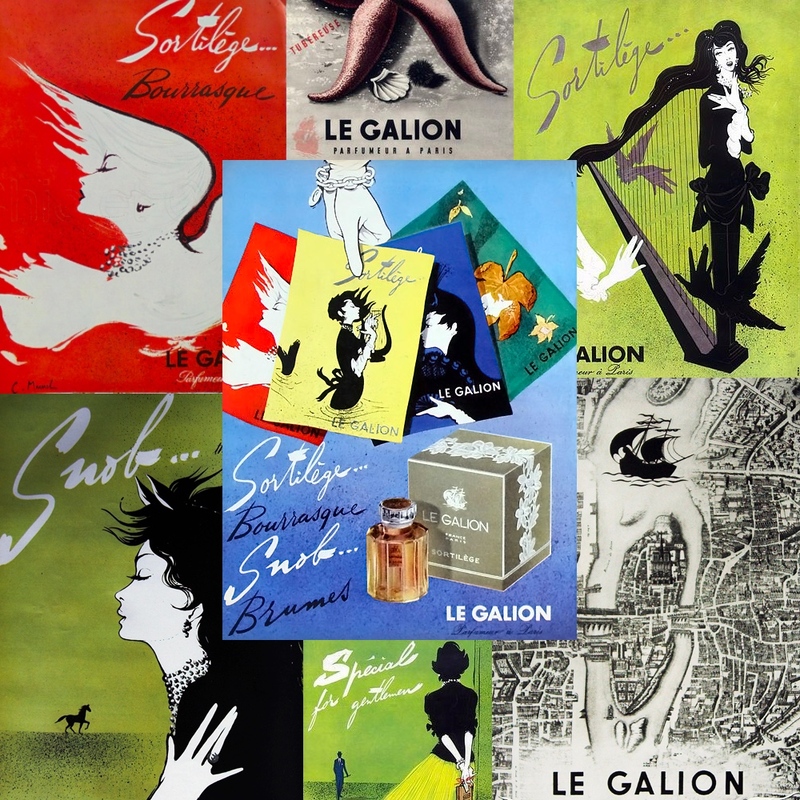 Le Galion is revived and with Chabot at the helm, it is navigating the waters of the perfume industry in search of fragrant treasures, both new and old, guided by the spirit of one of the world’s greatest perfumers. Below is a summary of the conversation between Nicolas Chabot and Jo Fairley – a tale of many serendipitous moments that is truly fascinating in every sense of the word.